Mercure Ardoe House Hotel in Aberdeen is a luxurious modern hotel, beautifully crafted from an imposing 19th century mansion house. With large and small function suites all exquisitely decorated you have the right space and the right atmosphere to create the event of your choice at Mercure Ardoe House from a Fun Casino Night to a Race Night or Corporate Gameshow. Ardoe House is 3 miles outside the city and the perfect backdrop for a relaxing weekend. Pamper yourself at Ardoe Spa with luxurious spa treatments, an indoor heated pool, a fitness room and enjoy sophisticated and locally inspired dining at Blairs Restaurant or indulge in Soapie's Lounge and Bar for a nightcap. 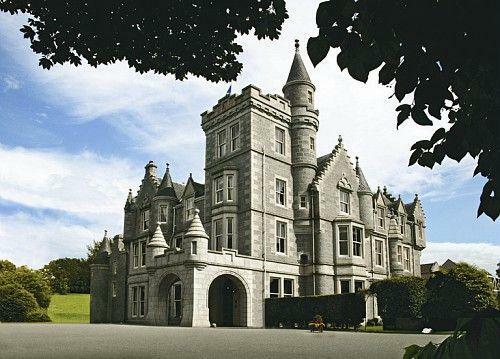 Mercure Aberdeen Ardoe House Hotel and Spa is a beautiful 4-star 19th century mansion house set in 30 acres of tranquil Aberdeenshire countryside with 120 traditionally decorated bedrooms. The beautiful grounds are perfect for your next Outdoor Team Building event or Corporate Family Fun Day and you can choose from a huge selection of activities from Laser Clay Pigeon Shooting to Bouncy Castles or even a 100ft Assault Course. With so much Inflatable Fun and Target Zone activities to choose from at Ardoe House Hotel in Aberdeen, pic and mix to create your very own Family Funday.